Lady Gaga has done it again! Since dethroning the seemingly omnipotent Oprah Winfrey as the world’s most powerful celebrity in 2011 according to Forbes magazine, she’s now become the first person to reach 20 million followers on Twitter. According to Twitaholic.com, as of March 6, Lady Gaga had 20,150,082 followers. Not far behind, Forbes’ third most-powerful celebrity, Justin Bieber, was in second place on Twitter with 18,124,878 followers. Rounding out the current Top 10 in order were Katy Perry, Shakira, Rihanna, Kim Kardashian, Britney Spears, Barack Obama, Taylor Swift and Selena Gomez. Some Top 10 Twitter account facts: 1) All have at least 10 million followers; 2) Eight are singers; 3) Only two are male – the youngest (Bieber) and the oldest (President Obama); 4) Obama has been on Twitter the longest – 61 months; 5) Bieber is the only one who points directly to his YouTube account, allowing him to earn significant extra income through advertising shown on his videos; 6) Obama is following back the most accounts – 681,420; 7) Shakira is following back the fewest accounts – only 41; 8 ) Former most popular account owner Ashton Kutcher now lags in 14th place with ‘only’ 9,682,273 followers, less than half the number that Lady Gaga has. As for the most popular Facebook pages, Facebook itself still leads with 63,404,487 likes after having overtaken longtime most popular page Texas Hold ’em which now stands in second place at 58,165,214 likes. Rounding out the most popular Facebook pages are, in order: YouTube, Eminem, Rihanna, Lady Gaga, Shakira, Michael Jackson, Family Guy and Harry Potter. Only Lady Gaga, Shakira and Rihanna appear in both the Top 10 of Twitter and Facebook. 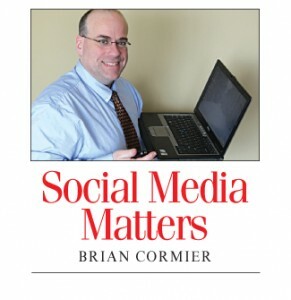 All pages in Facebook’s Top 10 have 42 million likes or more. The highest ranked Canadian on the list is Justin Bieber who lands in 12th place with 41,106,512 likes. Appdata.com regularly updates the most popular Facebook applications (or ‘apps’). Everyone’s heard of FarmVille, but is it still as popular as it once was? Where does it land on the list? Based on monthly active users (MAU), the most popular Facebook apps in order as of March 6 were: 1) Static HTML: iframe tabs; 2) CityVille; 3) Static iframe Tab; 4) Texas HoldEm Poker; 5) Hidden Chronicles; 6) Mycalendar – Birthdays; 7) BandPage by RootMusic; 8 ) FarmVille; 9) Castleville; 10) Bing. At 79.9 million MAU, Static HTML: iframe tabs is by far the most popular, with CityVille more than 33 million MAU behind. 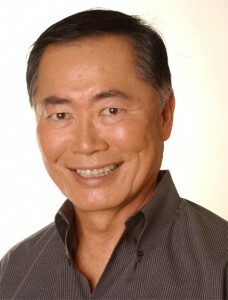 Star Trek and Celebrity Apprentice star George Takei is taking on the State of Tennessee again for legislation that threatens to ban teachers from even uttering the word ‘gay’ in the classroom. Takei took to his Facebook page earlier this week with a video that is sure to go viral. He’s suggesting that people use his name, ‘Takei,’ as a substitute for ‘gay’ as a way of getting around the legislation. He’s even selling t-shirts that proclaim, ‘It’s OK to be Takei’. The purpose of his campaign is to show how silly the legislation is. By ‘banning’ a word, Takei suggests that people will just substitute another for it. According to a CTV News report, a woman whose previous ‘Baby Yoga’ video caused quite a stir is back with another one! Lena Folkina says that swinging a baby around her head is actually good for the child. Folkina’s detractors who saw the original video were appalled at the way she was seen dangling the baby by its arms (sometimes just one), flipping it over in the air and bouncing it every which way. Opponents also fear that Folkina’s techniques could lead to shaken baby syndrome. I’ve seen the videos and I personally found them difficult to watch. I keep thinking the baby’s arm is going to twist off ! Yikes! Can’t imagine that it’s the least bit enjoyable or healthy. The video I saw shows the baby crying – perhaps not from pain, but definitely (in my humble opinion) from fear and annoyance. It just looks so awful! Each week, I suggest YouTube channels for you to check out. Statistics are current as of March 6.